Thessaloniki, Greece - September 09 2018: Mediterranean Cosmos Mall internal view. 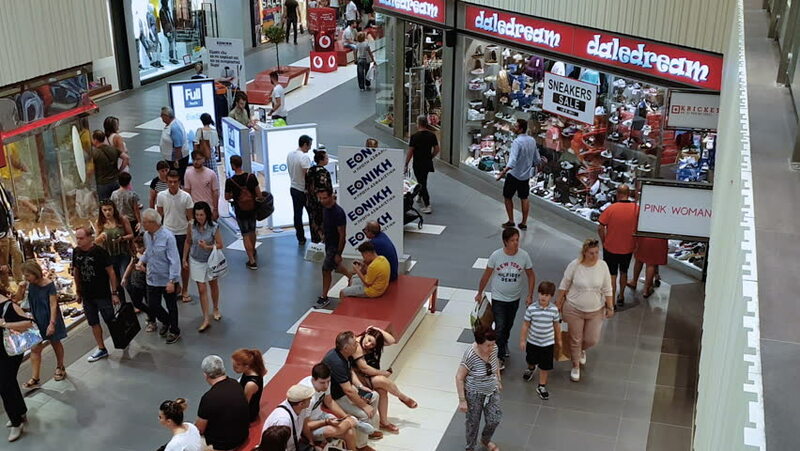 Unidentified customers inside shopping area of one of the largest malls in The Balkans. hd00:19SINGAPORE - CIRCA AUG 2015: Long lines of travelers at the immigration counters of Singapore Changi Airport's Terminal One arrivals area. 4k00:12READING, UK - DECEMBER 28, 2018: Crowds of people walking inside The Oracle shopping mall in Reading, UK. hd00:12London, United Kingdom – March 22, 2015: people commute during rush hour at victoria station in london. going down the escalator while filming. 4k00:10LAS VEGAS - January 7, 2017: Crowds of people at CES 2017 expo. CES is the world's leading consumer electronics trade show. 4K UHD timelapse.